Part 2 of this cubeecraft consists of extras that help add to his holiday apparel. You will get the American flag and the sparkler once you download part 2. 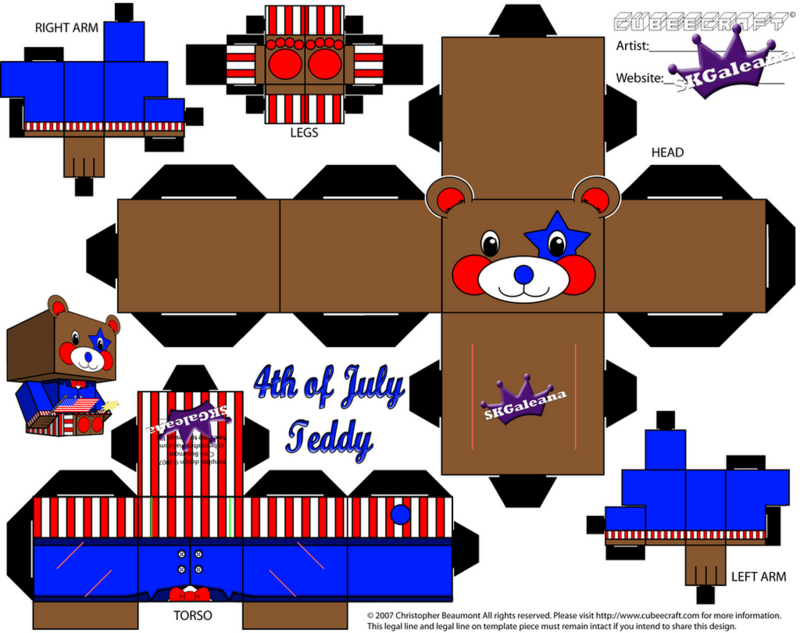 Part 2 is not needed to complete the cubeecraft Teddy Bear but it will help add to the 4th of July feel. This cubeecrafts does not require glue or tape. However, putting the legs together is tricky and requires time. There are small tabs that have to slide into their corresponding slots. 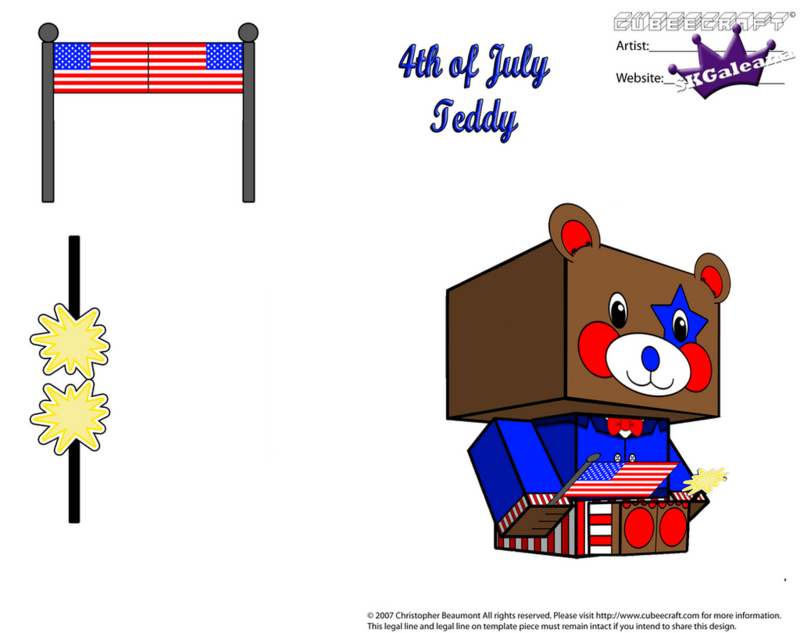 This is number 1 of the 3 teddy bears that will be released for the 4th of July collection.